Our company was established in 1982 and operates in 2 territories. We take pride in our reputation for delivering top quality hunts and exceptional service. Whether you’re after an award winning trophy or a great value hunt, we will personally take care to live up to your expectations. Our family owned and operated business offers exclusive hunting at three exciting destinations: Kingham, Marble Island and Walker River. 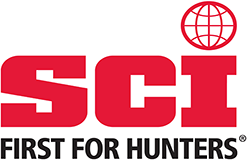 For over 30 years, we have been a leader in Australian hunting. 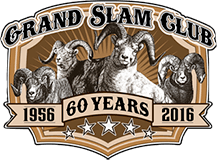 Our clients have taken over 300 Gold Medal Trophies, including 126 top ten entries (more than double any other Australian outfitter). We are a family owned and operated business. 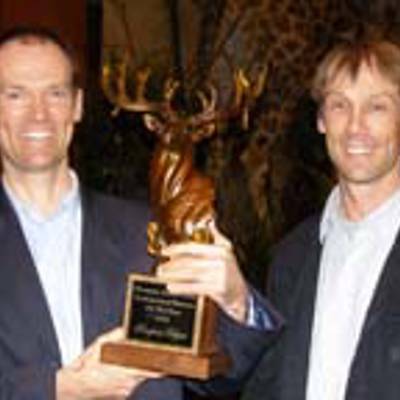 Bill and his two sons, Andrew and James, are Safari Club International Master Measurers and long time SCI members. Collectively the trio has over 80 years guiding experience, successfully guiding hundreds of hunters from over 25 different countries, including 14 Weatherby Award winners. Hunting in Australia doesn’t get better than this. 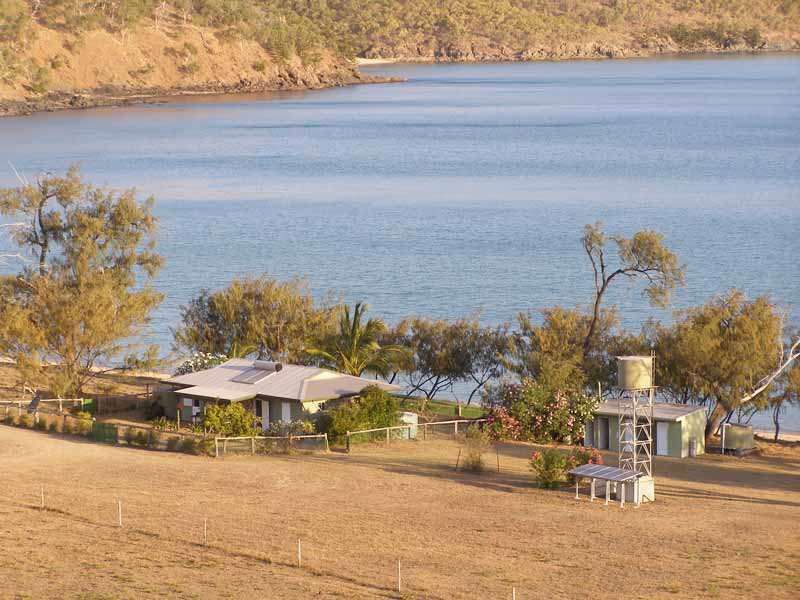 Your own private island, challenging free-range hunting with game animals in abundance, spectacular views, a sub-tropical climate, beach-front lodging and fishing. 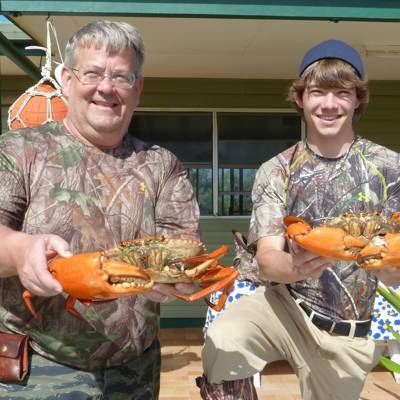 To top it off, Marble Island has produced the biggest free-range trophies of the South Pacific. The package includes trophy Javan Rusa Deer (up to SCI145) and Sambar. Marble Island is located off the east coast of Australia amongst the coral shoals of the Great Barrier Reef. It is the largest of a group of four privately owned islands, all of which have deer on them. The main species to hunt are javan rusa, sambar, blackbuck and axis. Marble Island is well suited for hunting. The hills are steep and provide good vantage points for glassing. There is a good mix of thick cover for browsing and shelter and open hill-sides for grazing. A lack of predators means an abundance of game. All this combined with a reliable sea-breeze gives the hunter a great opportunity to test his or her stalking and shooting skills. 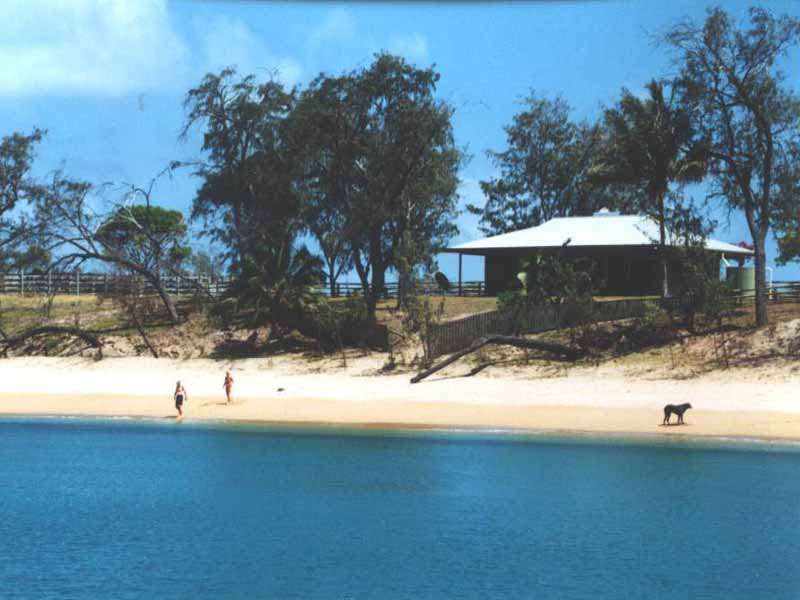 On Marble island we offer beach-side accommodation. A 45-minute air charter over the Great Barrier Reef with its beautiful vista. Please contact for updated costs. Dates are confirmed by a deposit of 25% of hunt value. A further 25% deposit is required 4 months before commencement of the hunt. The balance is payable upon completion of the hunt. If you cancel your hunt more than 9 months in advance, your deposit is fully credited towards a future hunt of the same contracted value. If you cancel your hunt less than 9 months in advance, an immediate 50% loss of deposit will occur. Trophy headskin preparation (fleshing out and salt-drying of hide, and boiling skull): deer headskin $150 each; deer full body skin $250 each; crating and delivery to Brisbane for reshipment $250 per shipment. 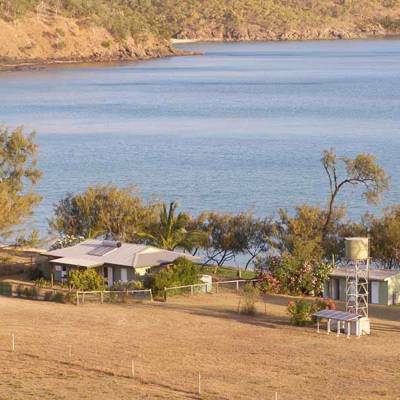 We have the best free-range and estate hunting anywhere in Australia. Hunt Australia from the top of the Great Dividing Range, to the heart of the Great Barrier Reef to the wilderness of the tropical outback. 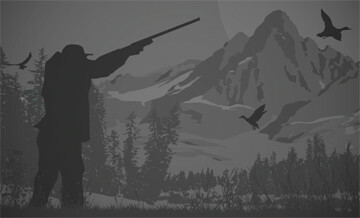 Our team has the knowledge, skills and experience to give you a first rate and hassle-free hunt. It’s one thing to hunt Australia. It’s another to hunt the best Australia has to offer. We have consistently produced the biggest trophies in Australia! Kingham’s lightly timbered rolling hills and moderate climate are ideally suited to all the Australian deer and is the breeding ground of the world’s largest rusa, plus 11 other species including sambar, hog deer, buffalo, moluccan rusa, axis, red stag, fallow and blackbuck antelope. Hunting in Australia doesn’t get better than this. 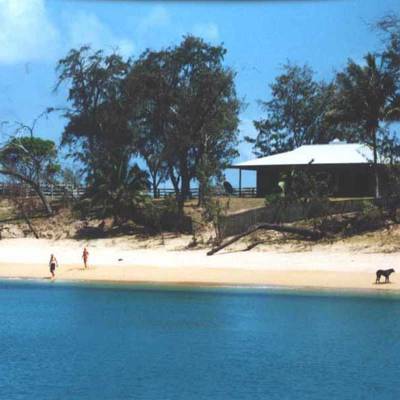 Your own private island, challenging free-range hunting with game animals in abundance, spectacular views, a sub-tropical climate, beach-front lodging and fishing. 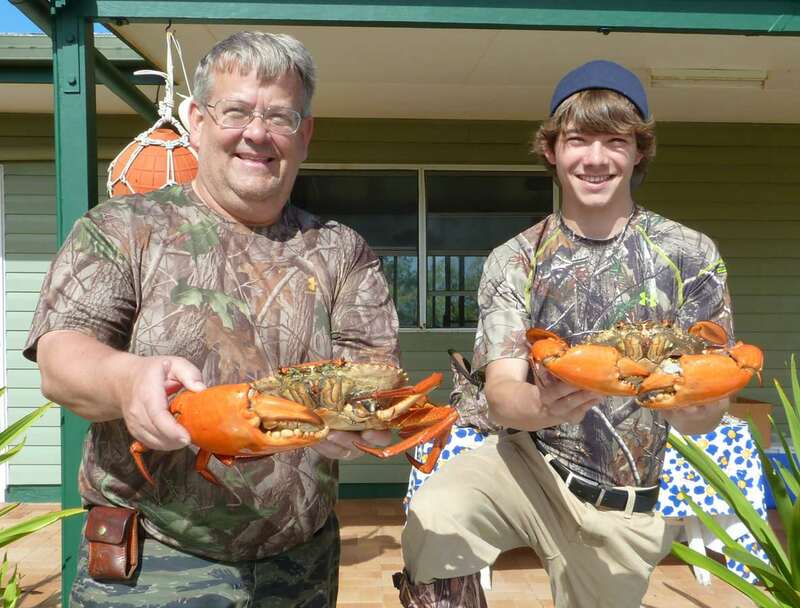 To top it off, Marble Island has produced the biggest free-range trophies of the South Pacific. The ultimate Australian adventure- see the best Australia has to offer from the mountains to the reef - 8 days at Kingham and Marble. Javan (up to SCI 145), Sambar, Moluccan, Blackbuck & Axis. Hunt at our safari lodge, nestled in the scenic mountain ranges of eastern Australia. See the unique native wildlife of this operating cattle ranch including Kangaroos, Wallabies and the reclusive Platypus and Koala. We are famous for our huge rusa and looking at the SCI record book it’s easy to see why. 11 of the top 12 (including number 1) in the typical category and 9 of the top 10 (including number 1) in the non-typical category. Appearance: The larger of the two rusa, the Javan rusa is a medium sized deer with a coarse grey-brown coat. Weight: 110-140kgs (250-300lbs) Height: 110cms (43ins.) Antlers: 3 points per side with the second tine on the outside of the main beam. Trophy size: Antlers have been recorded as long as 39 inches, though a mature male will average 33-35 inches. A good representative trophy scores around SCI 145. Javan rusa have a clearly defined rut in June/July. During the rut they make a vocal roar with the occasional elk-like whistle. Battles between roaring stags can be vicious, with serious wounds inflicted. In the rut they will “tail” a female. Before and after the rut they gather in small bachelor groups. They feed in open or lightly forested country. With the hilly terrain we mainly spot and stalk.